In this article I hope to begin, by reviewing the foreign policy of D.S Senanayake and relating it to the possible reasons that influenced his foreign policy decisions/choices. Then, I intend to examine the influence of India to the foreign policy decision-making of Sri Lanka in the past. I also attempt to ascertain the similarities between the two regimes, both past and present and conclude as to why both governments’ external relations can be fitted under the statements identified above. For ease throughout this article in reference to the island I have used Ceylon and Sri Lanka interchangeably but for clarification purposes, the term Sri Lanka was formulated through the 1972 constitution of the country. 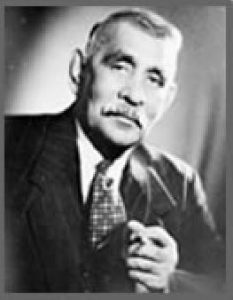 D.S Senanayake, having understood the tension and heated climate surrounding the initial cold war period of the late 1940s and early 1950s; grasped the possible complications and problems of attaching newly independent Ceylon (Sri Lanka) towards either of the two camps. Had he been more closely affiliated to the capitalist bloc; the Indian Ocean region would be under the threat of an arms buildup and possibly even gunboat diplomacy. This would also have increased tensions in India, which began to chart a domestic policy under Nehru, more towards socialism in ideological orientation. There were many other reasons as to why Sri Lanka’s foreign policy outlook towards India during the D.S Senanayake regime was not as close as the later Bandaranaike regimes. Indian independence, unlike Sri Lanka, was obtained mainly through strikes, boycotts, campaigns and nonviolent protest whereas the latter’s independence was relatively on the lines of negotiation and high level advocacy (especially considering the role played by Sir Oliver Goonetilleke in ‘shuttling’ between Sri Lanka and the United Kingdom). Moreover Britain had shown (through its actions in occupying and governing many regional territories in the Indian Ocean and in its immediate neighborhood) the strategic significance of the Indian subcontinent as a region that opens both to the west and to the east, in land and sea routes. India would naturally learn from the role played by Britain and perhaps continue in influencing countries that were its geographical neighbors. These factors may have played a significant role in the foreign policy management and decision making of D.S Senanayake. 1. He understood that Britain no longer had expansionist aims in the Indian Ocean. 2. He knew that the British naval force would be a deterrent factor if India was to directly or indirectly influence Sri Lanka’s foreign policy making (thus maybe a minor balance of power was at play in D.S Senanayake’s mind). 3. He knew some of the British parliamentarians and hence he had an understanding of their attitude towards the region of south Asia. 4. And lastly Sri Lanka had close trade and economic relationships with Britain and this would only be a further strengthening of an existing friendship. Thus his ‘pro-west’ outlook might have been the reaction of the above and not entirely his personal inclination towards Britain. It was not his personal likes playing the major role in shaping the islands foreign policy but a carefully guided and visionary understanding of the current context and international cold war climate. It was a measured and carefully calculated decision and not as some say, his personal affinity towards Britain playing the leading role in foreign policy affairs. D.S also understood that maintaining close relations with India (Sri Lanka’s geographical neighbor) is imperative and proceeded to do so but in such manner that suggested that Sri Lanka would draw an independent foreign policy which would take into consideration India’s concerns but won’t be guided solely by that factor. In addition, Sir Ivor Jennings elucidates that: “India thus appears to be a friendly but potentially dangerous neighbor”8 to Sri Lanka in the immediate post independent phase. Hence one may determine that D.S Senanayake understood the gravity of maintaining friendly relations with India but in doing so, kept it at arm’s length. As Stalin had stated to Paasikivi of Finland: “there is nothing I can do about geography.”9 Perchance to reassure its immediate southern neighbor, Nehru also visited Ceylon in 1950. Despite all the motives which may have influenced D.S Senanayake to chart a foreign policy that kept India at arm’s length; he still maintained cordial relations with India without giving it too much cause for anger or concern through his foreign policy decision-making. This appears to be the same in the case of Sri Lanka during the term of the late Dudley Senanayake. He undertook the agreement purely for economic concerns and left the relationship on “economic” terms without further expanding ties or diplomatic representations during his tenure. Thus the foreign policy seems to be one of “friendship with all; enmity with none”. Sri Lanka seems to be engaging with states that it had not under the previous regime and with states that were on close friendly terms during the past regime. Thus this proactive level of engagement reflects, verifies and attests to the words of Professor Jayadeva. In conclusion, the foreign policy stance of both the governments of the Senanayake and Sirisena regimes appears to be similar. Both comprehended the international context in which it operates and managed relationships and friendships so as to ensure that Sri Lanka maintains no clear cut ideological identity but instead focuses on increasing relations and friendly ties with all states, if it is in the islands national interest. This policy orientation might have been the reason why President Sirisena had the privilege to be able to have an audience with Her Majesty Queen Elizabeth II at Buckingham Palace (12th march 2015) and to be invited to the G7 in May 2016. In my view this ‘flexible’ foreign policy is timely and apt in the present context and will only benefit Sri Lanka in the future provided that it does not deviate from this too much. 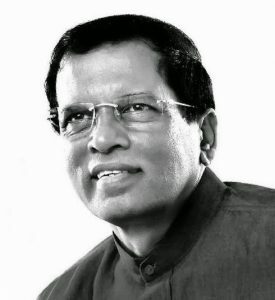 The significance of Professor Jayadeva’s statement lies in the fact that it characteristically draws similarities between the foreign policy objectives of the D.S Senanayake and President Maithripala and also in the manner in which the national interest of the country was sought after (and the steps taken in this regard) through a “friendship with all; enmity with none” foreign policy. 1. Uyangoda, Jayadeva. “Sri Lanka’s Foreign Policy Trends since January 2015: Some Critical Thoughts.” Groundviews. N.P., 15 June 2016. Web. 18 June 2016. 4. For more information see: Jennings, Sir Ivor. The Road to Temple Trees: Sir Ivor Jennings and the Constitutional Development of Ceylon: Selected Writings. Ed. Harshan Kumarasingham. Colombo: Center for Policy Alternatives, 2015. Print. 5. For more information see: Swaminathan, Shivprasad. “India’s Benign Constitutional Revolution.” The Hindu. N.P., 25 Jan. 2013. Web. 18 June 2016. 10. Kelegama, Dr. J B. “The Significance of the Ceylon-China Trade Agreement of 1952.” Island Feature Article. N.P., n.d. Web. 18 June 2016. 11. “Promoting Reconciliation, Accountability and Human Rights in Sri Lanka.” United Nations Human Rights Council. N.P., 29 Sept. 2015. Web. 18 June 2016.